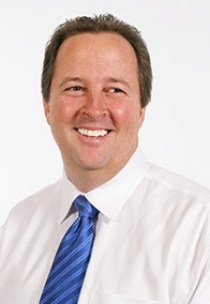 Mark Curran – Strategex, Inc.
Mark is a California-based consultant in our 80/20 Profit Enhancement service. He has guided many top corporations toward increased profitability. Prior to joining Strategex, Mark held positions as president for two divisions of the Ali Group, a privately held worldwide group of more than 65 different manufacturing brands based in Milan, Italy. In the three years Mark was with Ali Group he doubled profits at both brands. Working seven years for ITW as president in one division and BUM/VP Sales in another division, both divisions more than doubled their profitability. Prior to his 10 years of 80/20 and related training, development, and implementation, Mark worked in sales and operational roles at brands like Maytag, PepsiCo (Taco Bell, KFC, Pizza Hut, etc.) and Toshiba America Computer Systems Division. Mark also has experience in starting up and running family businesses. Mark is a dynamic speaker and trainer, and a powerful 80/20 coach and consultant with a bias for action and a drive for measurable results. Mark holds a BSMS from Pepperdine University.